Information & Documentation Center | Ali Yavar Jung National Institute of Speech and Hearing Disabilities (Divyangjan), Mumbai. Information and Documentation Services effectively link AYJNISHD(D) and its beneficiaries directly and indirectly. Its objectives are acquisition, assimilation and dissemination of information to individuals and organisations working in the area of hearing impairment. The centre provides Documentation, IT and Library services. The documentation service include compilation of Annual Report, Monthly Report, MIS Reports and specific reports based on query from Ministry/Parliament. Computer Centre facilitates computerization process by initiating development of software needed for activities of the Institute, identifying and recommending suitable ready made software packages, recommending suitable hardware, coordinating internet services and hardware maintenance services, providing training to staff as and when needed and providing help and support in data processing work. Computer Center co-ordinates and monitors various software installed in the Institute such as Software for clinical services to PWDs, Appointments, Pay, RCI result preparation work, library and accounts. Internet service is made available in the library, as well as in all departments. Also students are provided with internet connection in hostel. Computer centre coordinates Biometric Attendance system and support e-procurement process. Also the website of the institute http://ayjnihh.nic.in/ is maintained by this centre. The website provides exhaustive information on speech and hearing impairment and rehabilitation. News and event details are frequently being updated on the website. The centrally air conditioned library of AYJNISHD(D) can accommodate sixty students. 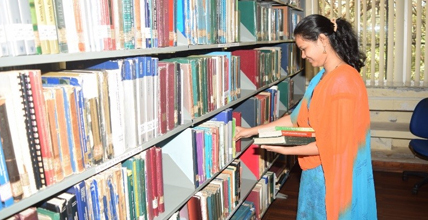 It has 17363 reading material including 1042 Hindi books, 1385 bound issues of back volumes of journals. The Institute has subscribed 18 multi-site online e-journals for HQ RCs and 155 open access journals, which reduced the cost and space required to store hard copies. Internet and wifi facility is made available to staff and students of AYJNISHD(D) to access Digital Library of AYJNISHD(D) and e-resources (N-LIST) of library. The reprography facility is available during working hours of the nstitute for staff, students and research scholars. Disability Information Line (DIL) is a telephonic information line to provide information on major disabilities. Disability related information on Causes, Prevention, Diagnosis, Intervention/Treatment, Aids Appliances, Education, Employment, Service providers list, Government Schemes Concessions are available in DIL. To provide state specific information and to provide local language support, DIL has been installed at different regions. The general awareness information is common at all regions and additionally each region has state specific diagnostic fitment, educational and employment service providers list. It is an ongoing process to add more state specific information. Disability Information Line is accessible round the clock through telephone as it is an Interactive Voice Response System (IVRS). Information can be obtained in English, Hindi or Regional Language. Service of Call attendant is also available during working hours. DIL can be accessed from any part of India by calling to the nearest centre. During 2017-18, DIL received 77621 calls. 1 Shri. N. Karthikeyan Information and Documentation Officer M.Sc. , B.Ed., B.L.I.S. 3 Shri. 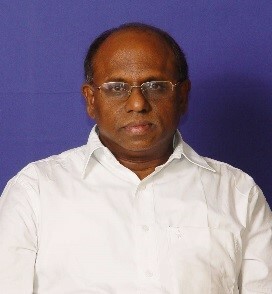 Arun Kalbage D.E.O. 4 Smt. Anjali Nakashe L.D.C.